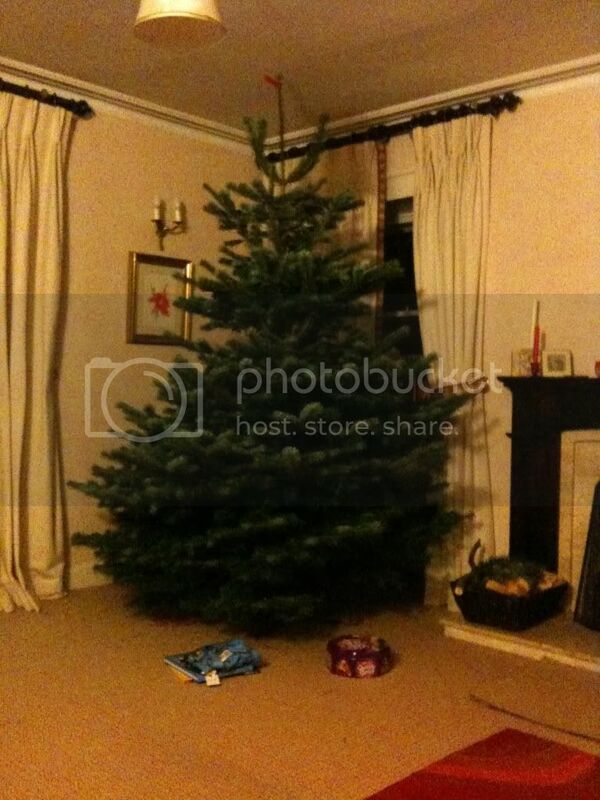 Got a tree...and our ceiling in here is just under 9 feet high. What are they going to do with an old tractor and trailer? Nice shape, bushiness and full body Gra. Did you have to whip some off the bottom? It was still connected to the ground this morning! I measured in the front room, this morning and got it cut to suit. What doesn't show up well, is the bushy part of the bottom. It's about 6 feet across. What doesn't show up well, is the bushy part of the bottom. It's about 6 feet across. Finally. Someone as bad as me.